Kathy Smallfoot joined our staff at Doran Post & Associates, Inc. in 2014, but her crop insurance training started 14 years ago, 12 of which have been as a Crop Insurance Agent. She enjoys working with people and is always eager to help customers. Kathy and her husband, Gaylord, resided in Eustis. 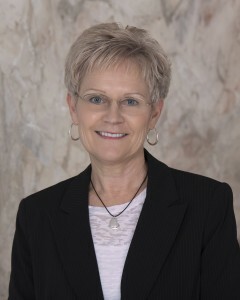 Outside of the office she enjoys spending time with her children and grandchildren across Nebraska.